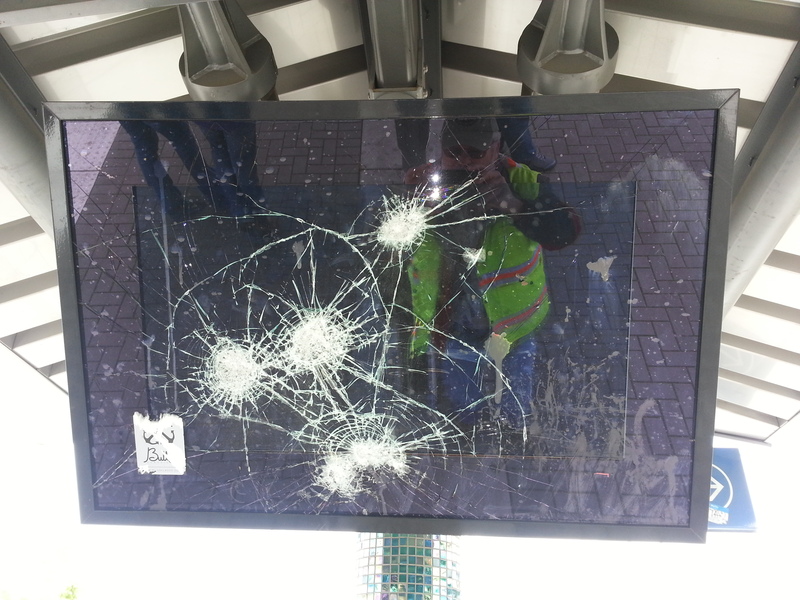 Help us catch the vandals who destroyed our digital display screens at the SE Powell Blvd and SE Flavel Blvd MAX stations. The signs at both stops have been repeatedly targeted, but earlier this year the damage was so extensive the screens could not be repaired. We hope to have replacement displays up in a few months. It’s an added cost, an inconvenience for riders and a crime. Since there are no leads in the case, TriMet is offering a $1,000 reward for information that leads to the arrest and conviction of the vandals. If you have any information about the vandalism, which occurred during the first two weeks of April please call 503-238-RIDE.